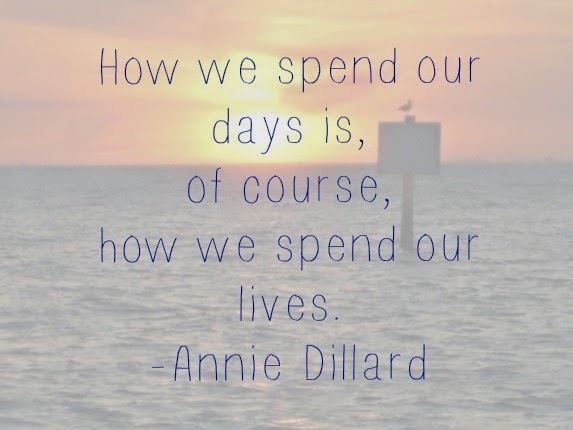 Emilia de la Playa: what's influencing you? Spring in the midwest always feels like a fresh start. Winter was miserable. We were all trapped indoors. We all got severe cases of SAD. We all changed into our ugliest sweatpants the moment we walked in the door. When one wears sweatpants and the temps are below zero for the 50th day that winter, one simply wants to curl up on the couch with fatty foods and beverages and watch Netflix until one's brain melts. This is a proven scientific correlation. I find that when I'm in this state of mind, I tend to watch more television and do more internets. (I traversed to the end of the internet and back at least thrice this winter.) When I do the internets and get all my human interaction from characters on television, I become more likely to curse, be negative, snap at my husband, slouch, grind my teeth, and other evils. My desire to be intellectual, kind, thoughtful, and active is 83% lower. With the coming of spring I find myself walking outside more. Which leads me to peruse our local public library. Which leads me to borrow a stack of 7 books I know I won't be able to get through before the new two week (!?!) due date. (Whose decision was that?) The more books I read, the more books I want to read. When I'm reading books, I'm reminded that I should be (and want to be) reading my Bible, doing personal devotions, and praying more. When I do these things, my desire to be intellectual, kind, thoughtful, and active is 100% higher. I'm not saying the person I am depends upon the weather. I am saying that the way I act is influenced by what I choose to spend my time doing. Taking the time to start my day with scripture and a prayer that the decisions I make that day be God-pleasing results in a more mindful and service-oriented day. Reading before bed instead of falling asleep to HIMYM results in me reading during the pockets of the next day instead of mindlessly scrolling through dumb websites. These worthy pursuits reach into the other facets of my life, helping me to stay disciplined in my fitness, nutrition, positive thinking, and money decisions. What we allow into our minds shapes who we are. What we choose to think about influences what we say and do. Each morning anew, spend a few minutes praying that how you spend your day is in service to the one who created you, lived for your, died for you, and rose for you. 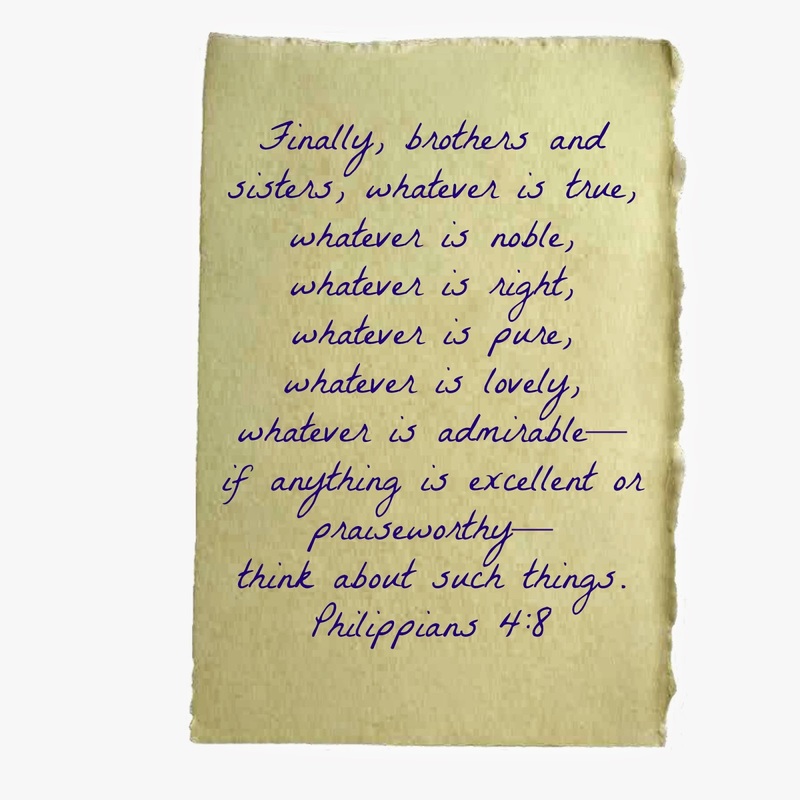 Let the thing that occupies your attention be a worthy pursuit or lovely thought, not an angry internet comment or discontentment due to something you saw on tv or online. What will influence you today?